The lifeblood of your orthopedic practice exists in how well your revenue is managed. Accuracy means everything and it’s essential to your bottom line. There’s no better solution than keeping your internal operations of your practice at peak efficiency and having employees well versed in the industry’s orthopedic billing codes. Revenue collection through a streamlined billing service is the true epicenter of growth. 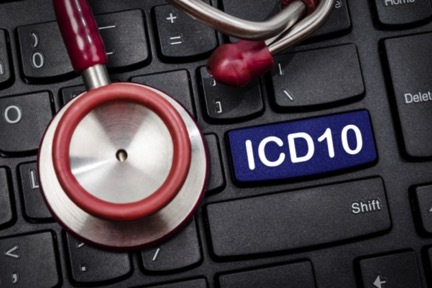 In order to keep your billing clean and organized, staying on top of any – and all – changes to ICD-10 coding policies will plant the seeds for future, longevity-focused, success in the long-term. Place your practice in a progressive outlook with a solid understanding of Cigna’s updates to their ICD-10 billing codes. Many code changes may be ever so minor but often have a large impact on specific services offered in an orthopedic practice. These specific updates dictate the amount a patient will be billed, what constitutes a certain service to be performed and how it’s classified for billing record purposes. The following briefly highlights the notable Cigna code policy updates that have taken full effect on March 15 of 2018. Cigna has issued new coverage policies for numerous musculoskeletal procedures a patient can receive from an orthopedic surgeon. These updates have been made due to results from comprehensive studies on certain orthopedic surgery techniques. According to the study, the aforementioned surgeries have yielded little to no proof of success in the ankle, elbow and shoulder. These insufficiencies have led Cigna to label the following methods as experimental and unproven for an articular cartilage repair exclusively for the areas listed previously. Other procedures have been listed for similar reason but for their own respective areas of the body, those of which can be seen below. Healing Response Technique is unproven for intra-articular ligament. Ankle Subchondroplasty is unproven for a subchondral bone defect. Minimally Invasive Knee Replacements and Focal Resurfacing of a Single Knee Joint are both unproven procedures. Cigna medical coverage policies also called for changes to the CMM-311 codes for knee replacements and arthroplasty. These treatments have experienced updates regarding the medical necessity of the patient. Under Cigna’s new determination factors, orthopedic surgeons must make a decision on a case-by-case basis. Now, very specific criteria must be met to follow through with a certain procedure versus another. Calling them indications and non-indications, the requirements for a medically necessary partial knee replacement – for example – can be as pressing as the inability to walk and the loss of knee function to not medically necessary due to deformities, uncontrolled medical conditions or muscular atrophies. CMM-311.4-311.5 also lists the correct coding description and whether or not the surgical procedure is considered experimental. Cigna is also requiring orthopedic practices to issue pre-authorization paperwork before the bone health medicine Prolia can be administered to a patient. The form covers basic physician and patient information and includes additional information such as dosage, urgency and other clinical information. The sheet must be filled in its entirety to speed up the fulfillment of the prescription. Staying up-to-date on ICD-10 codes and Cigna updates will allow everyone in your practice to understand what a procedures’ intended uses are, what’s covered and how it should be properly billed. In the event your practice is in need of revenue cycle management to revamp your billing structure, or need help learning how to code, HIS would be glad to help you transition with coding oversight and education. Our orthopedic practice management services will keep your practice compliant so we can transform cash flow or maintain the profitability of your business. Feel free to contact us today to grow your practice and become a proud partner with HIS.